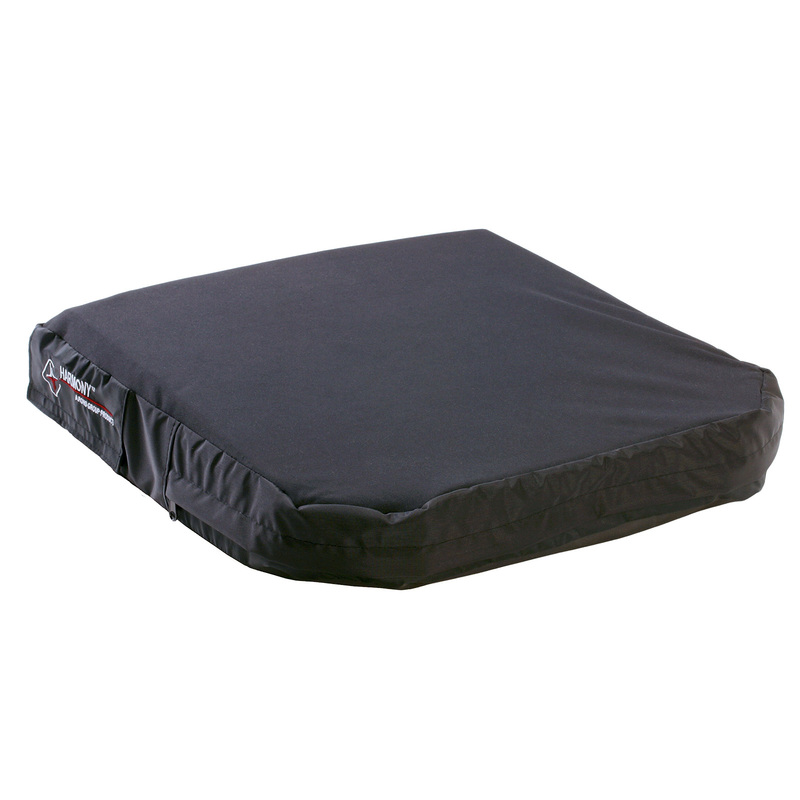 The HARMONY Cushion provides an individual with a lightweight, stable solution. 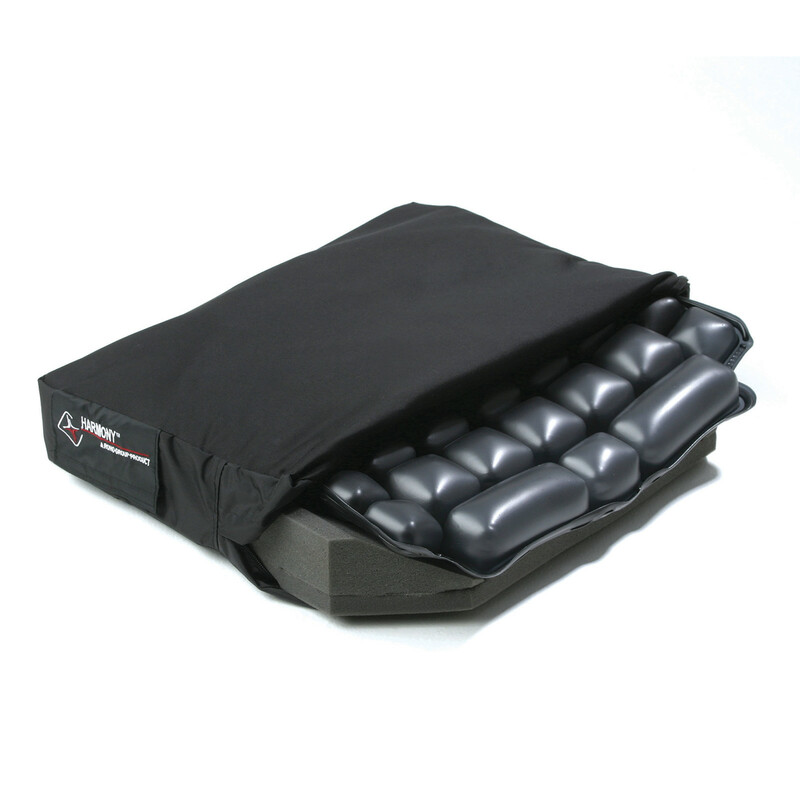 By combining a ROHO AIR FLOATATION™ cushion insert on top of a pre-contoured foam base that is encased within a fluid-resistant cover, the individual can maintain independence and freedom without the worry of adding unnecessary weight to their mobility system. Finding a cushion that is comfortable, matches the individual’s shape and addresses today’s challenging funding climate shouldn’t be difficult. Think HARMONY from ROHO. 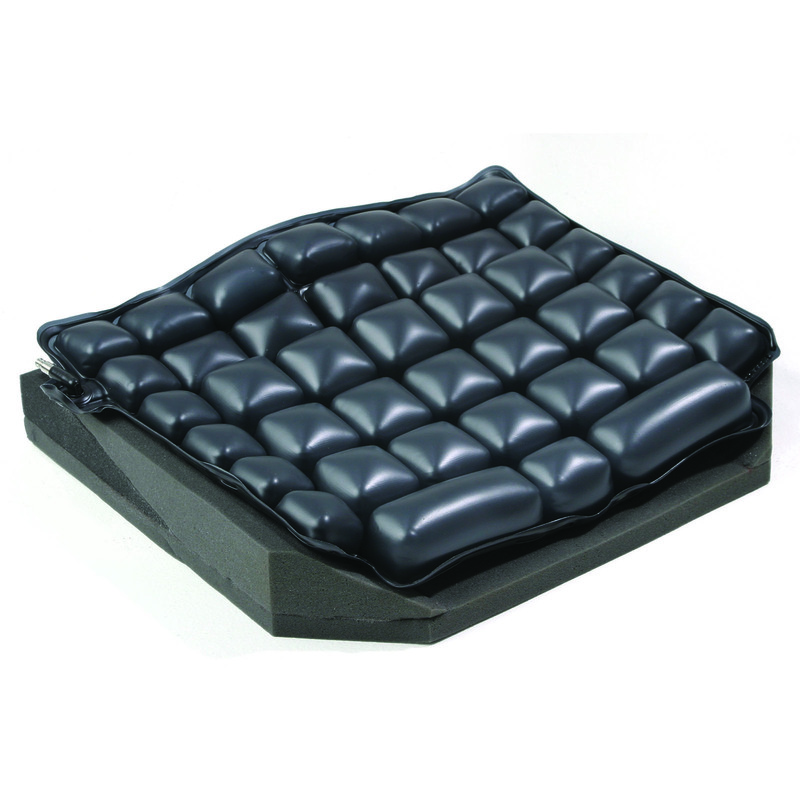 Using ROHO AIR FLOATATION Technology the HARMONY Cushion allows for change in air inflation and immersion level, providing skin/ soft tissue protection and accommodation to the individual’s shape and position. Individuals spend thousands of dollars to shave a few pounds off of a wheelchair, overlooking how the cushion impacts the weight of the entire mobility system. At 1.25 lbs. (0.6kg), the HARMONY Cushion adds minimal weight to an individual’s mobility system. Stability builds a foundation of function. If an individual is working to achieve balance or stability they may have difficulty achieving functional goals. The HARMONY cushion is built on an anatomically-shaped foam platform that enhances the individual’s seated stability and helps maximize their functional potential. Comfort is a must. The HARMONY includes ROHO AIR FLOATATION Technology positioned over a foam base that provides a shape-fitting interface to minimize tissue deformation. ROHO is the worldwide leader of seating solutions to prevent and treat pressure injuries, including deep tissue injury, while providing skin and soft tissue protection. ROHO has been in over 90 scientific and clinical studies to reinforce and verify that a ROHO DRY FLOATATION® cushion heals, treats and prevents pressure injuries, including deep tissue injury. Construction Cushion: AIR FLOATATION Overlay (overlay) made of DEHP-free polyvinylchloride. Contoured foam base made of polyurethane. Includes HARMONY Cushion, cushion cover, hand inflation pump, repair kit, operation manual and product registration card. Warranty Cushion: 18-Month Limited Warranty.